Steve Jobs, the late cofounder and CEO of Apple, was known as much for his difficult managerial style and confrontational attitude as he was for his unrivaled product vision. In his first public appearance in five years, ex-Apple exec and iPhone co-inventor Scott Forstall said that there was a lot more to Jobs than met the eye. Apparently, electronics aren’t the only Apple products that will drain your wallet. From the mid-‘80s through the early ‘90s, Apple dabbled in fashion. Apple’s shares have become very oversold in the past two weeks as Mizuho and Pacific Crest downgraded the stock from Buy/Overweight to Neutral/Sector Weight, respectively, and tech stocks took a hit. Their main reason centered around iPhone 8 expectations being baked into the stock given their recent strength and that valuation levels while not excessive don’t allow for much upside. Apple Inc., which issued the biggest green bond ever sold by a U.S. corporation last year to finance projects fighting global warming, is doing it again. On Tuesday, the iPhone maker issued a $1 billion green bond to fund renewable energy generation. Apple has updated its professional-focused iPad Pro tablet lineup with a new addition. The company revealed a refreshed 9.7-inch tablet and a newer, larger 10.5-inch iPad Pro at its Worldwide Developer Conference (WWDC) in San Jose, Calif., on Monday. Apple announced today that app developers have earned over $70 billion through the App Store since its launch in 2008. As ever, the revenue split between Apple and its app developers is 70/30 for most purchases, meaning users have spent over $100 billion in the App Store. Apple appears to be in the very early stages of readying a 5G-capable iPhone. The company filed an application for an “experimental radio service (other than broadcast)” with the Federal Communications Commission, to conduct wireless tests in two locations, one in the company’s Cupertino, Calif., backyard, the other in nearby Milpitas. Happy Global Accessibility Awareness Day, everyone! To mark the occasion Apple is showcasing a series of more than half a dozen inspiring videos of some of its users with different disabilities, who can be seen leveraging the powerful assistive technologies built into macOS and iOS to make their lives easier. The latest smartphone OS data from Kantar Worldpanel reveals that Apple continues to increase its market share across most markets, except for China. iOS managed to record the greatest increase in the UK, with 40.4% of smartphone sales, but it also rose in the US. Apple’s plan to push iPhone sales into positive territory for 2017 has stalled, with sales taking a surprise dip. iPhone sales of 50.8 million means a 1 percent unit drop year-on-year, and a whopping 35 percent drop compared to the previous quarter. Apple reported a rise in quarterly profits Tuesday, but its shares took a hit from weaker iPhone sales ahead of a 10-year-anniversary model on the horizon. Apple said its profit climbed 4.9 percent to slightly more than $11 billion on revenue rising 4.6 percent to $52.9 billion in the quarterly period that ended April 1. The U.S. Patent and Trademark Office officially published a series of 45 newly granted patents for Apple Inc. today. In this particular report we cover the wireless charger for Apple Watch and more importantly, two key original iOS inventions that helped to ignite the mobile revolution. 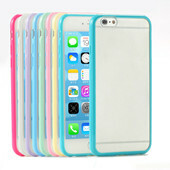 Apple has you covered as it has released six new colours for its silicone and leather cases. What if you got one of the new Apple Watch bands, but the official iPhone 7 and 7 Plus case you are rocking doesn’t match its exact hue, and not even the color of the sky as reflected in Tim Cook’s eyes? iPhone users are in for a treat. Apple is upgrading the storages on the iPhone SE by bumping them up to 32 and 128 GB. And the best part of the news is that the company is doing so at a minimal cost to the user. Apple announced the latest addition to its iPhone family Tuesday: a bright, cherry red iPhone 7 and iPhone 7 Plus. The new iPhone is part of Apple’s partnership with (RED), an initiative that mobilizes brands to support the nonprofit Global Fund’s efforts to rid the world of HIV and AIDS. Apple reverses iPhone slump, but what’s next? Apple has snapped out of the first sales slump in the iPhone’s decade-long history, although the modest upturn doesn’t mean that it has broken out of its innovation funk. If anything, the numbers Apple released Tuesday highlight the company’s growing dependence on the iPhone, whose sales tower above Apple’s other current offerings. Many customers waited out the record-smashing weekend to jump online for Cyber Monday deals—with more people than ever reaching for their smartphones and tablets. These mobile devices produced 27% of total online revenue, up 10% from 2014. Smartphones were responsible for 16% of total online revenue, an increase of 41%. Apple Inc.‘s mobile devices dominated total mobile revenue with 79% from iPhones and iPads, while Android phones and tablets accounted for 21%. The iPhone 6S received a nice overhaul, and like I’ve blogged about before, this model is bringing a lot of new features to the table which were long overdue. Pre-iPhone 6 users, will get a really nice upgrade value bang for the buck with the new camera system and 3D Touch. That being said the new iPhone flagships also take again a bigger bite out of the (family) budget. We have compared the prices of 4 European countries where it’s available for preorder the 12th of September, and we also compared the US prices. Apple has never been the company that is keen on publishing specifications about their new products, until some years ago. In the pre-Samsung times, they have always highlighted unique features and use cases which were eagerly demoed by Steve and Phil. More recently, Apple is using its keynotes as a showcase for specifications, mostly caused by stiff competition. An exception from this is the Apple WATCH because it is a new player in the market, but wait for the next 2 models and it will be a specs demo all over. I have graphed out most of the specs of all the iPhone models over the years. It shows that the iPhone 7 is the iPhone to wait for because many specs didn’t change over the last 4 models. he Google Hangouts app for iOS is getting a major update this evening that gives it all new calling features on Apple’s mobile hardware. Users can call phone numbers directly from the app itself, with no charge for any calls to US & Canadian numbers (international calls work too, for a fee). How Cell Phones Are Consuming This Generation’s Time? How are we consuming our daily app - petite for mobile content every day? I use my iPhone mostly for quick news reading, emailing, sometimes messaging and most of the time for calendar keeping and meeting reminders. Occasionally I play a game but that is mostly in the holiday periods when I have more free time. The iPhone revolution has put the internet in our pockets and going back to pre-2007 is unimaginable for me. I read the news that Steve Jobs died on my iPhone, go figure. Here is a nice infographic co-produced by us about the way we spend our time on these touch devices. Apple updated today its iPhone 5 LTE page with a whopping 5 new carriers that will transfer the bits to your phone with extremely high speed. Both the GSM A1428 and the CDMA A-1429 model received better connections. Let’s begin to take a look at the GSM carrier Family Mobile first. Magellan, a leader in GPS devices for vehicles, outdoor, fitness and mobile navigation, today announced the availability of its new Magellan® SmartGPS device at Best Buy U.S. consumer electronics stores and BestBuy.com. Magellan® SmartGPS is the game-changing GPS device integrating social, local and mobile content, including reviews and tips from Yelp and Foursquare, through Magellan’s revolutionary cloud-enabled Smart Ecosystem. Combining the reliability and safety of dedicated GPS devices, the content and mobility of smartphone applications, and the content and innovation of cloud services, the SmartGPS transcends traditional GPS solutions. In addition, the SmartGPS delivers current and localized fuel prices, weather, traffic events and speed camera warnings, along with social content, directly on the navigation map. In the old iOS 5.0 days, everything was in order. There was the Maps app with Google Street View built-in. Then came the updated, new version of Maps designed by Apple. It all seems great until you realize that street view is gone! Many users are missing this handy feature… that is until FutureTap (“Where To?”) brought it back. The new app “Street View” integrates with Apple Maps and allows it to easily display the widely popular street view panoramas.